Posing by the villa’s fireplace. 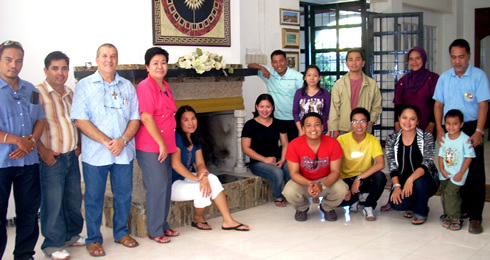 At least 20 Master of Public Administration students attended a seminar on human resource at Villa Italiana, Upper Cabatangan, this city, on February 15. The training was spearheaded by the Public Administration 223 (Human Resource Management) class of Dr. Socorro Rebecca Felonia. It was also participated in by students from PA 219 (Administrative Communication). Main resource person was Mr. James Baes, a student of PA 223 who tackled the topic “Community Relations”. Highlights of his talk included social accountability of organizations in the community; examples of organizations doing collaborative work with other institutions and in rural areas such as Jollibee, Asian Development Bank, and WMSU.